W&L Presents ‘The Tragedy of Romeo and Juliet’ Performances will run March 1-6. 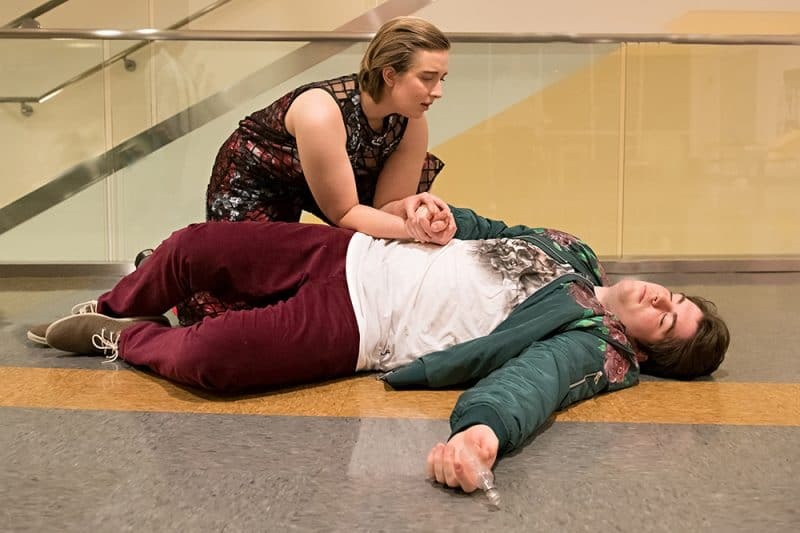 Washington and Lee University’s Department of Theater, Dance and Film Studies presents Shakespeare’s “Romeo and Juliet.” Performances will run March 1-3 at 7:30 p.m., March 3-4 at 2 p.m. and March 6 at 7:30 p.m. in Johnson Theatre, Lenfest Center for Performing Arts. On March 5, at 7:30 p.m., the cast will hold an individual performance of the play at the Blackfriars Playhouse in Staunton, Virginia. Tickets are required and can be ordered online or by calling the Lenfest box office at 540-458-8000. The box office is open Monday – Friday, 9-11 a.m. and 1-3 p.m. and will be open one hour before performance time. With a production set in the present day, director Jemma Alix Levy breathes new life into this classic love story. It is a story that begins with a street fight, ends with countless deaths and is filled with conflict. The fates of Romeo and Juliet are perilously intertwined with fierce generational angst, familial discord and refusal to compromise. Audiences are encouraged to come see this raw, honest production of “Romeo and Juliet,” but to leave all existing notions of the play’s themes, characters and lessons at the door.